When I was a child, I loved the miniseries, Anne of Green Gables. Anne had a best friend, Diana, whom she called her “bosom friend” and “kindred spirit.” Ever since hearing this term of endearment, I longed to have such a friend; someone to share stories with, who speaks the truth when the truth hurts and invites me to go beyond the surface to reveal the person God created me to be. Sometimes, God awakens our souls so profoundly we can barely contain the joy, but finding a kindred spirit who can comprehend the depth of where God is leading us can be difficult. I remember returning home from the Theology of the Body Institute overwhelmed by the knowledge in my head and the impact on my heart. A few weeks later, I took a road trip with my dearest friend, and I was able to explode my minor Magnificat on her in the same manner Mary did with Elizabeth. That road trip solidified a friendship so rooted in Christ; it is unshakable. I like to think of Mary and Elizabeth as two of the sweetest kindred spirits in Scripture. When Elizabeth received Mary with the greeting, “And how does this happen to me, that the mother of my Lord should come to me?” (Luke 1:43), Mary knew she was safely in the arms of someone she could trust and able to share what her soul was bursting to proclaim. “And Mary said,” could be three words in the Gospel according to Saint Luke we merely overlook, but we would be unwise to do so. Think about it, who could Mary speak her joy with without being persecuted? If she proclaimed this praise in her synagogue or neighborhood, her life would be threatened. Our Mother Mary received the most significant message of salvation, and she couldn’t proclaim it. Elizabeth understood, and this understanding permitted Mary to, “proclaim the greatness of the Lord.” (Luke 1:46) I can only imagine the conversations they had for the three months that followed; that had to be some intimate girl time, especially since Zechariah was speechless and couldn’t chime in. So much of Mary’s life was silent and observant. I often wonder if the Magnificat was Mary’s verbal praise, what was her quiet, interior conversation like with the Lord? 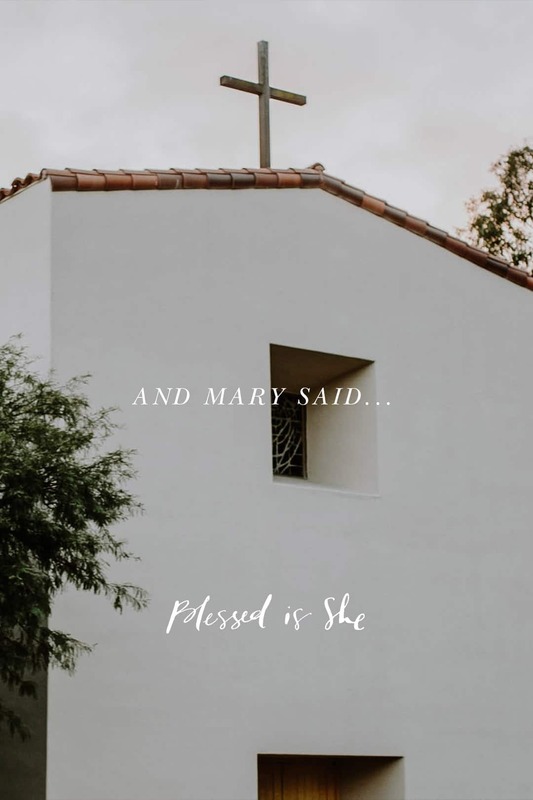 We are individually blessed with genuinely significant female friendships to share our hearts with, but how much are we exulting our hearts to the Lord, our Savior? If you are yearning for opportunities to find a dear friend who shares your faith, consider participating in a Blessed Brunch or Blessed Conversations group. Don’t be afraid to reach out and ask a new girlfriend out for coffee. God works in wonderful ways in our friendships when we invite Him in! Tricia Tembreull is a California girl with a Texas-sized heart for hospitality. She serves as a Parish Coach for Life Teen, International, and joyfully travels around the globe training, empowering, and praying with youth ministers. When not on a plane, she is either in church, spending time with family or friends, in the kitchen cooking up something delightful, or on the beach for an evening walk. You can find out more about her here.